We began producing this film at noon on Saturday, January 2, 2016, in Burns, Oregon. We already had plans for that day—a birthday party and a chance to try out our new cross-country skis. The sky was brilliant and the snow looked pretty good on this frigid second day of the year. But our plans changed…. We traded the skis for a camera in the crowded Safeway parking lot in town, which was the site of a large rally organized by the Bundys. Just a couple of hours later, they took over the Malheur National Wildlife Refuge and occupied it for 41 days. As documentary filmmakers, we are inspired by stirring, transformative events, but even more, we’re led by our hearts. We’re in deep gratitude to all of you who have generously welcomed us into your lives, and we’ll work to do service to all the amazing stories you’ve shared with us. We look forward to seeing you again before long. Oh—and we’ll make sure to close the gate. 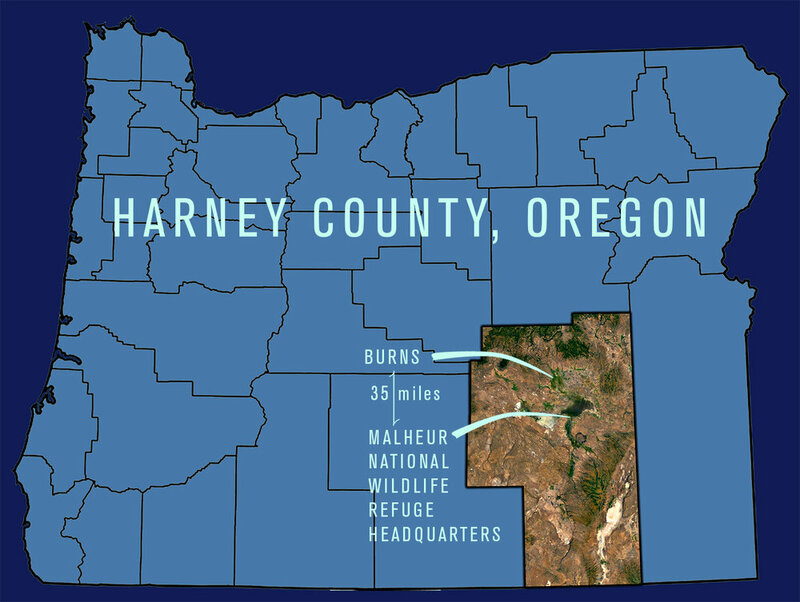 The MNWR Headquarters was the base of operations for the refuge occupation leaders and their followers, although a number of additional followers and supporters stayed in Burns.